Why don’t we think about—and teach—creativity and musicality in the same way we teach adults and children how to build other skill sets? After all creativity, artistry, and musicality are learned skill sets, just like dance technique, healthy eating habits, or verbal communication skills. You don’t wake up one day and voilà, you’re suddenly creative! You build these skills little by little. You practice them. You improve them day by day, week by week until years and years later you’re so good at them that you no longer remember what it was like not to be creative or musical. Sure, creativity and musicality are complex skills. They are harder to master than learning how to drive a car or roast a chicken, for example. They require diligent, rigorous practice, and most people fail the first and second and even the 80th time they try them. But if you keep practicing—and I mean really keep practicing them—you will master them. Research backs this up too. Educational travel company Rustic Pathways, for example, has found that students exhibit an increase in non-cognitive skill sets, like intercultural competence, independence, and self-awareness after having participated in a structured travel experience. As a dance community, we must recognize that creativity and musicality are learned skills. We need to teach these skill sets in the same way we dancers steps or turn patterns. If we don’t, instead of welcoming and encouraging others to learn this art form that we all love so much, we send the message that “you cannot achieve this.” That’s a dangerous message to echo within any community, because it doesn’t foster a growth mindset among its members, new or old. When human beings feel like they’ve learned all that they can, when they feel like they are incapable of becoming better, that’s when they stop trying. That’s when dancers stop dancing and once packed socials and classes start to feel like ghost towns. 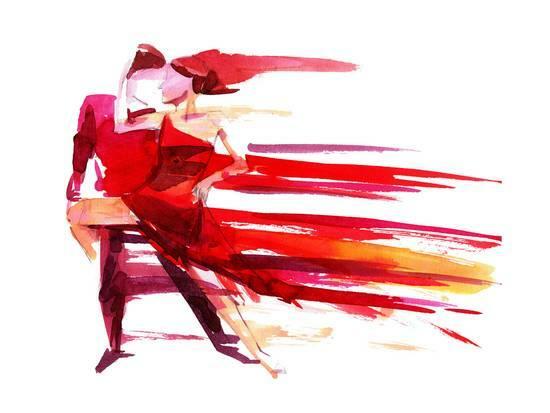 There’s immense power in believing that you can improve, in fully believing ‘not yet, but one day.’ That is the thinking we need to intentionally foster within our community so that the latin dance scene continues to grow, and so that we produce even better creative work together. I thoroughly enjoyed reading your article. As I now have my own dance classes, I try to encourage my students to be creative by not telling them to try to look like me or do things exactly like me…primarily because they are not me lol. Being the type of dancer that I am (a musical one), part of my mission is to allow my students to see what I bring to the table and try their best to be their best whenever they are in class. Whether it’s musicality, technique, creativity or expression, I believe in harvesting one’s true potential by covering all bases one step at a time. So thank you for this reminder and I urge you to keep writing. Physiologists use a term “the okay threshold”. In all manner of disciplines whether dancing or motor car parking at the kerb, at a certain point the human mind loses the urge to improve the skill. Hence the 1000s of social dancers who have a nice time but do not seek to improve. Understanding this takes the frustration out of trying to improve social dance partners. Their threshold is internally reached regardless of how the world views their skills. In order to become more creative at dancing there are a number of analytical things I do. I drill on my steps to a salsa timing record to get them regular and precise. While doing this I try to be capable of connecting any two steps together such as a basic and a turn or cumbia. Since social dances are improvised, being able to connect any two movements together increases your skills and reserve of movements. Beyond this I experiment with new movements to go beyond the fundamental steps everyone is taught. Later I will experiment with different combinations of steps that nobody has tried before. By doing this skill building with combinations and variations, its been possible to construct radically new movements that nobody has taught me but are easy enough to follow and are reasonably simple for followers to execute despite not being trained on them.